We are North Carolina’s leaders in skin care and have a long list of satisfied customers. Each clients needs are different, and we take the time to learn your goals and to achieve it. Skin Essence is an authorized Dermalogica skin care center. magic and has given her clients wonderful results. been a practicing esthetician in the U.S. since 2000.
her use her knowledge and experience to transform your skin. 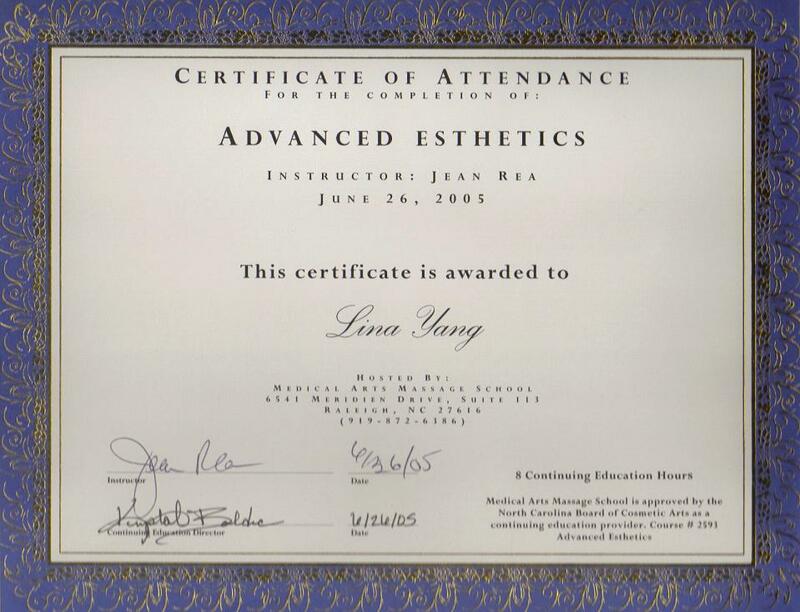 and participated in the Southeastern Esthetics Cosmetics and Spa Conference in June 2004. 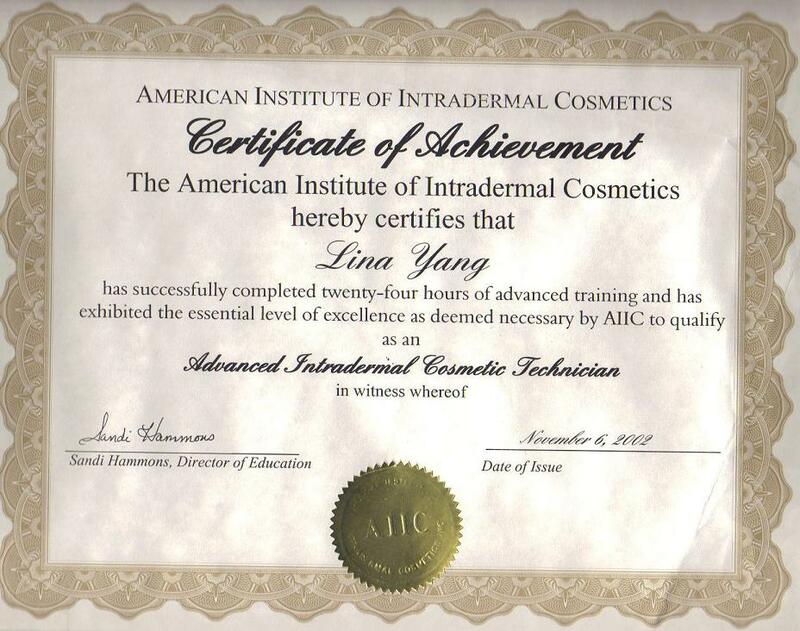 Lina Yang is a North Carolina State Board Licensed Esthetician with more than 900 hours of training in skin care. She trained as a medical professional in China before coming to America. For two decades, she has worked her magic and has given her clients wonderful results. She trained at the University of Virginia’s medical school for two years and has been a practicing esthetician in the U.S. since 2000. Let her use her knowledge and experience to transform your skin. 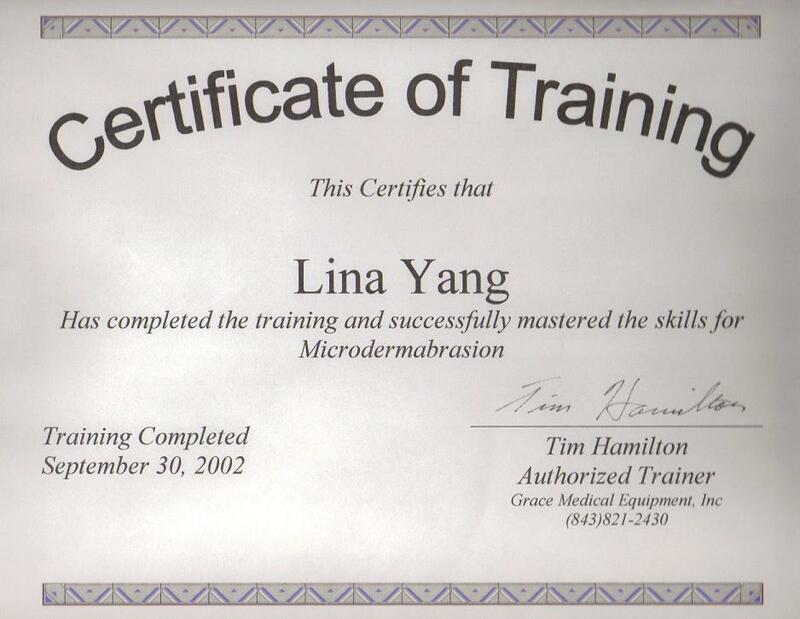 Lina is also a certified Revitalight technician and has official training in men’s facials, and participated in the Southeastern Esthetics Cosmetics and Spa Conference in June 2004.